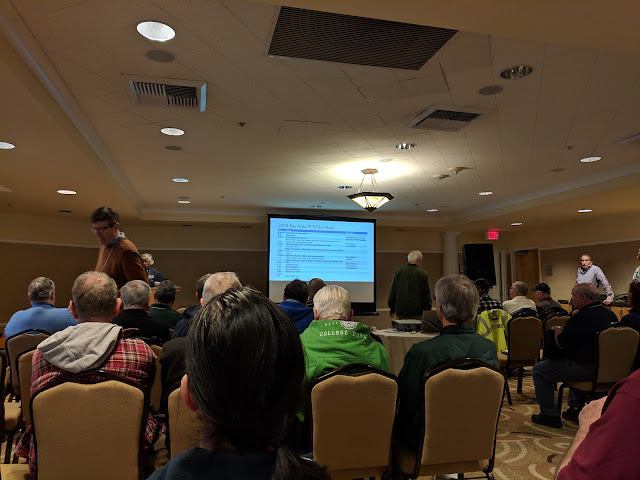 This year the SIG meet is in Petaluma. As usual the clinic program covered several interesting themes and ideas around operations and layout design. 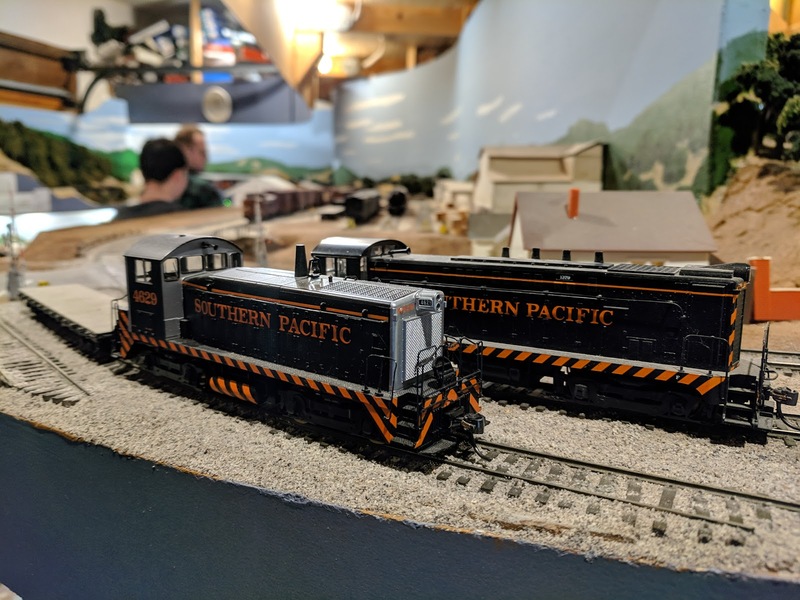 Paul Weiss gave an update on his Central Vermont Railroad layout. Jon Schmidt talked about how he made JMRI Ops do what they needed on the CVR. After lunch Bill Kaufman looked back on how his State Belt layout evolved and could have evolved. Ed Merrin gave a retrospective on his NWP layout depicting scenes between Petaluma and Willits. 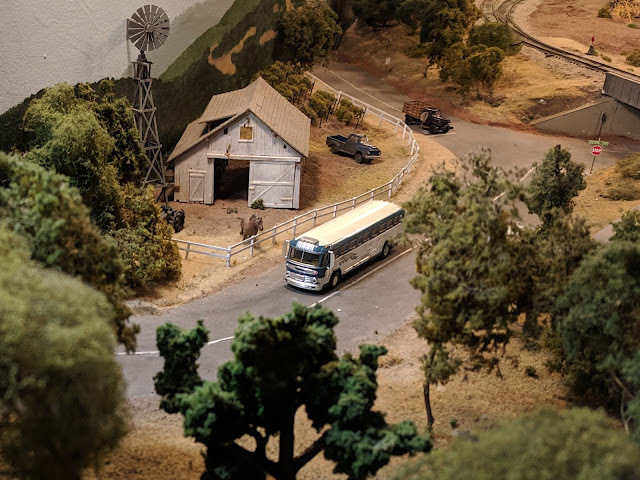 The day wrapped up with a design challenge for building a layout centered around Klamath Falls, CA, which attracted several very different ideas and approaches. Chatting with other attendees in the breaks and over lunch adds to the friends-helping-friends atmosphere of this event. The traditional evening layout tour took us first to Paul Weiss's CVR. Wow! They made some impressive progress here in the last 12 months. I will operate on this layout on Sunday and am very much looking forward to it. 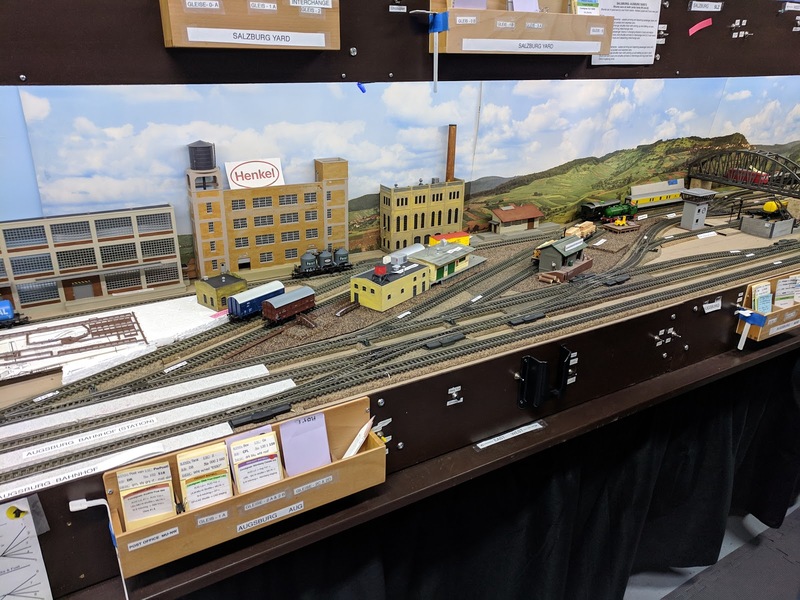 I hadn't seen Ed Merrin's layout yet, and after his talk this afternoon I was quite keen on it. Beautifully done scenery with a great eye for California colors and atmosphere. 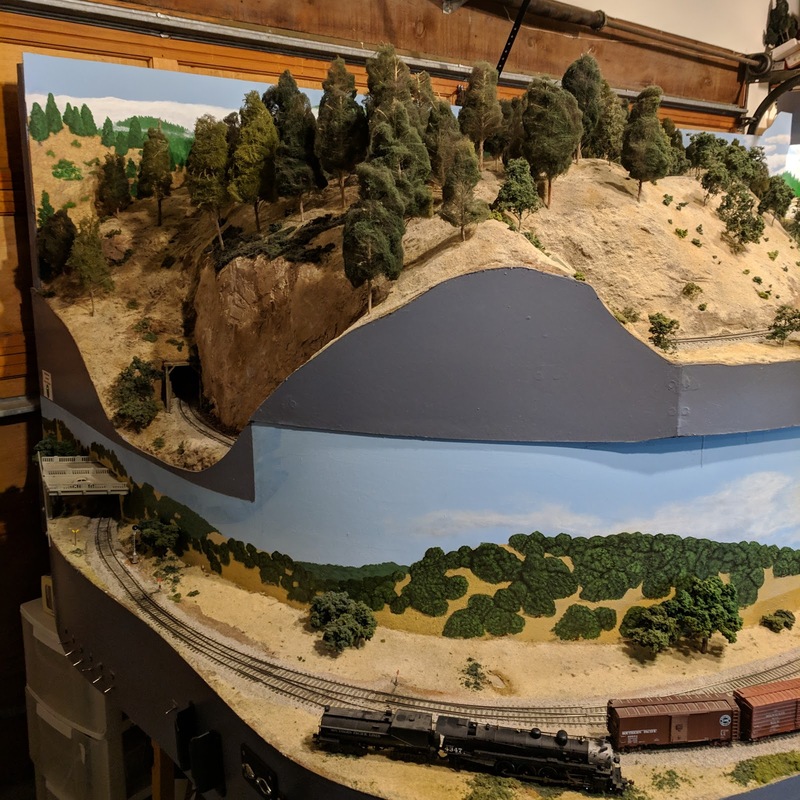 One of the topics Ed touched on in his talk was how he built his helixes and used cuts and scenic vignettes to soothe impatient operators waiting for their trains to reappear from the helix. Notice how the Highway 101 bridge covers and hides the portal into the helix. 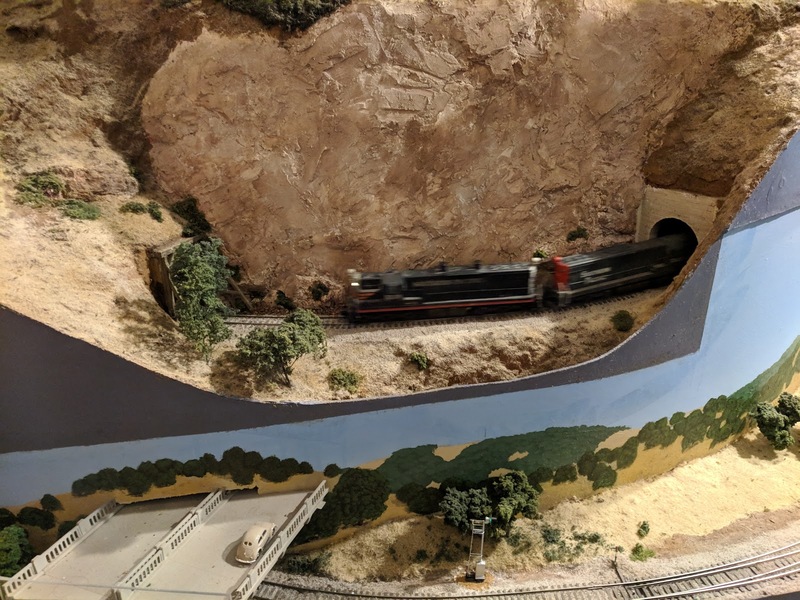 A relatively easy and effective vignette is to cut a window in the helix outside, and add some scenery around the track. 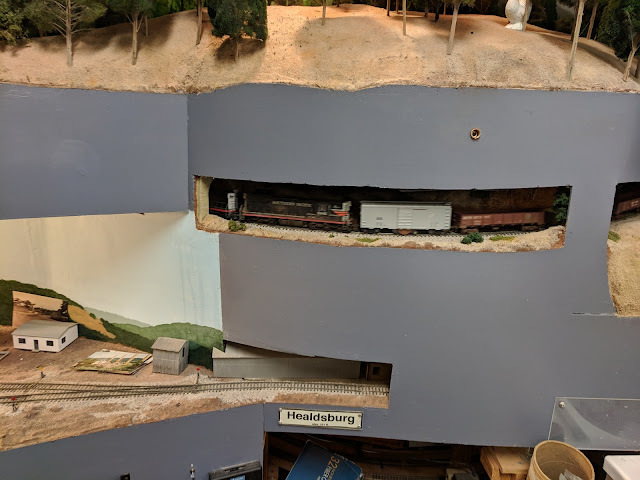 I've been thinking about doing something like this for one of the passenger stops of the Murrbahn project and here I see an example of how to actually do it. Nice! The building on the lower level makes the transition from layout deck into the helix less jarring. 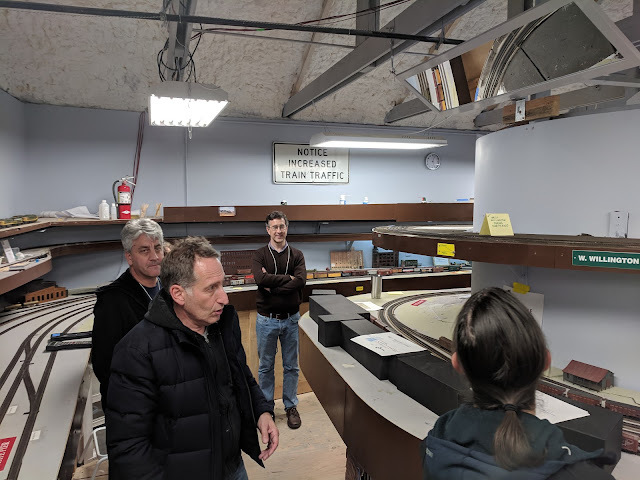 We wrapped up the day with a long discussion about German prototype operations practices and how to adopt them at Peter Barnes' layout set around Bavaria and Austria.